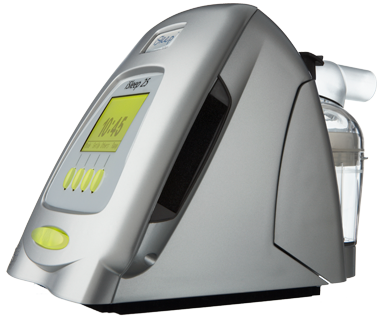 Enhance respiratory care with HA 20, an integrated heated humidifier especially designed to be used with the iSleep and Vivo 30/40 devices. The HA20 is integrated with the iSleep and Vivo devices, in design and in function. When connected to an iSleep or Vivo device, all HA 20 operations are monitored and supervised through the navigation structure on the device. HA 20 is comprised of a heating unit and a separate water chamber. The water chamber is easy to connect and remove through the quick release function. No separate power cords are required as power is supplied through the connected Vivo 30/40. Power supply: 10-30 VDC, max 40 W.